This recipe was so easy to prepare. I made it when I was in the middle of doing a million other things to get ready for my son's birthday party. 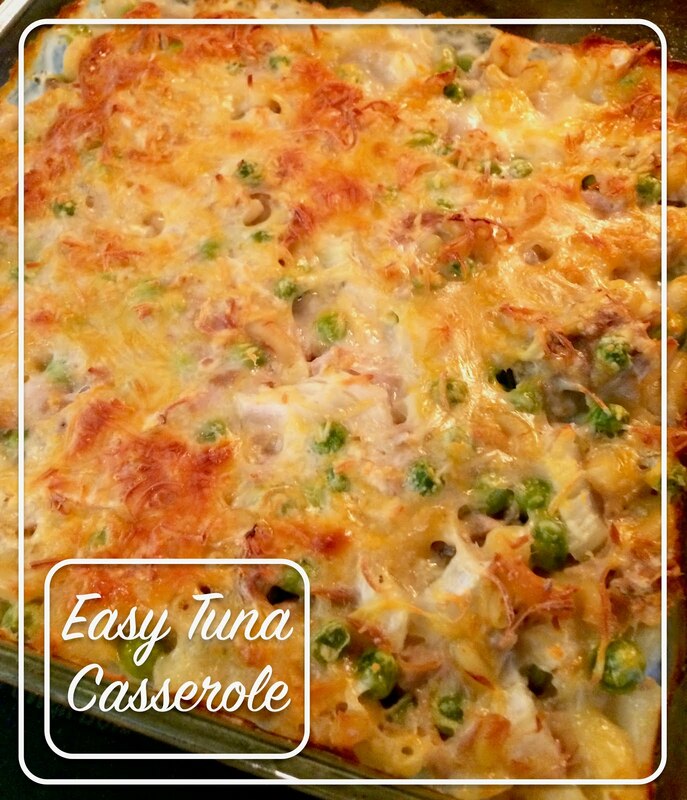 So even when you're pressed for time, this tuna casserole could be a good option. As far as taste goes, it's decent. My husband doesn't like peas, so I typically omit those. I wanted to make the recipe as stated, however, so I chose to add them. He wasn't thrilled, but he was quite hungry so he just ate it. Also, he did really enjoy the onions. We didn't all sit down together like we usually do, so the kids didn't try this one. Will I make this easy casserole again? Sure. It didn't make me jump for joy, but it's a decent go to that's really easy to throw together. My husband suggested subbing in green beans and omitting the peas. That might work. One last thing: like the other meals I have tried with cream of mushroom soup, I'd like to try making my own. Here's one I'm planning on trying. Find the original recipe on page 15: 100 Favorite Weight Watchers Recipes. Preheat oven to 350 degrees. Combine the first six ingredients in a bowl being sure to cover macaroni noodles. Spray an 8x8 baking dish. Transfer mixture to baking dish and sprinkle with cheese. Bake* for one hour. *Original recipe says to cover, but I did not and enjoyed the crunchiness of the edges. Nutrition Information is approximate and is calculate using caloriecount.com.